The inspiration for Zero = abundance first came from Patagonia — especially their short movie, “Worn Wear.” Patagonia and Zen may not sound connected, but there are something common at a very deep level. If you haven’t watched it, it’s highly recommend. As the title suggests, it is a compilation of Patagonia users’ stories who continue wearing the same gear until they are literally worn out. They proudly “boast” about their worn clothes — weathered, ripped and repaired so many times. Many items are handed down from one generation to the next. The peculiar thing is, although the movie is all about worn gear or products that theoretically should have “depreciated” in value – if we were to borrow economic terms – it is far from any tone associated with stinginess, deficiency or sacrifice. Instead, it is simply filled with a prevailing sense of satisfaction. Patagonia must have created this movie to raise awareness about the risks of our economic system that heavily relies on over production and over consumption. But I almost forgot about the environmental cause. This satisfaction overflow simply struck me. I was in awe. How come they can feel so content by wearing the same old rugged clothes instead of replacing them with new ones? How come they don’t look shabby but look so beautiful? I had to question myself if I could wear a smile as beautiful as theirs if I were to pose in front of a camera with such worn clothes. Well probably I don’t have to worry about it. I don’t have any “worn wears” to begin with. I don’t have any clothes that I trusted so much that I’ve gone through so many life-defining moments like the folks in the movie. They reminded me of an empty glass. 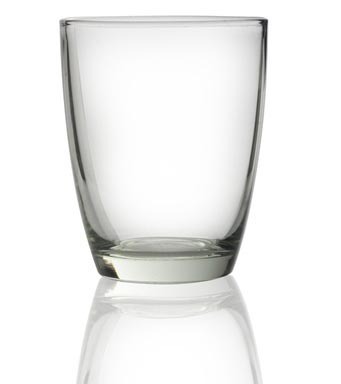 A glass so full because it’s empty. And this is not rhetoric. I literally felt the fullness because of its emptiness. That led me to the journey to find out what’s behind the emptiness, or the “Zero” that we will be exploring in this project.